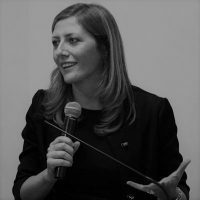 Nicoletta Pirozzi is head of Istituto Affari Internazionali’s (IAI) programme ‘EU, politics and institutions’ and works on EU governance, policy and institutional developments in CFSP/CSDP, civilian crisis management, EU relations with the UN and the African Union. She is Adjunct Professor at Roma Tre University. Previously, she has served as Seconded National Expert at the European External Action Service (EEAS).